Wendy Sheppard is originally from southeast Asia. She came to the United States for her tertiary education. With degrees in Chemical Engineering and years later, she now lives with her family in northern Virginia. An entirely happenstance quilter in she had never even touched a sewing machine until she was in her early 30’s, she enjoys every aspect of quilting, and enjoys even more when she get so share the joy of needle and thread with others. Her work has been published in many US quilting publications, as well as in Australia and the UK. 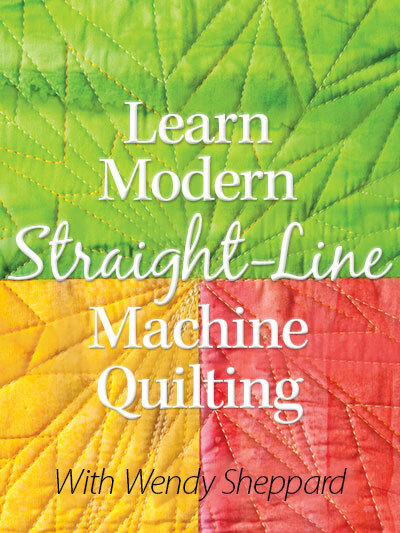 To date, she has authored for Landauer Publishing three books: Recreating Antique Quilts, Creative & New Quilts and Projects from precuts or stash, Stitching Pathways. Her first book Recreating Antique Quilts won the silver medal in the 2014 Independent Book Publisher Association Benjamin Franklin award. It’s announced in June 2018 that her latest book, Stitching Pathways, won the Foreword Indies Silver Medal. Wendy is also an online machine quilting class instructor with Annie’s. Check out her online classes here. 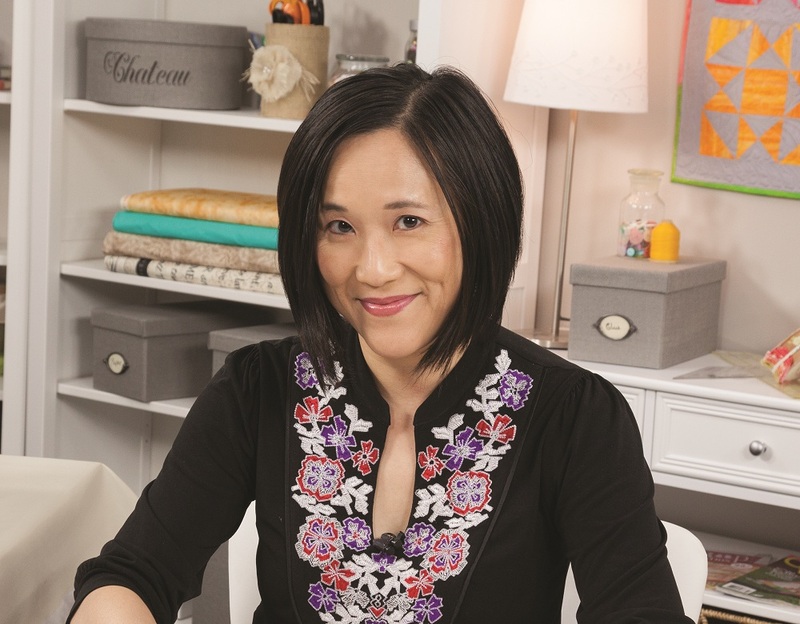 She is also an Aurifil designer, who has curated thread collections for Aurifil. When her schedule allows, she travels to connect with other quilters by speaking to groups and teaching. Follow her on Instagram (ivory_spring), and her blog (wendysheppard.net) for happenings in her life. I love your blog. I have a new passion for quilting! Can’t wait to spend time reading all your posts! Feel free to add me to your blog roll. Hello Kindred spirit! I am waving my flags right along with you! I am a quilter also – have been for 30 years now – I do love it! I also sew on a Bernina like yours. Thanks for the visit and inspiration you are a amazing machine quilter!!!!! Great site. Thanks for sharing it with us. I lreally enjoyed your embroidery work, it is beautiful. May I add you to my list of every day reads? I was visiting Ellen B.’s blog and saw your name in her comment section so I thought I would drop by. All of your quilts are so beautiful. This is my first time writing on a blog. My sister in law was just diagnosed with breast cancer. She has asked me to do a piece of needlework for her using the 23rd Psalm. The piece featured on your opening page is exactly what I’m looking for. Do you sell the chart or could you tell me where to purchase it. What a lovely way to start my morning after I hopped on over to your blog! My eyes are in heaven! Thank you for visiting my blog and for your kind comment. Yes you are welcome to add it to your list. I would like to reciprocate. You have a gorgeous blog. I love your blog and I hope you don’t mind if I link to yours from mine. What beautiful quilts, and congratulations on having them recognized through publications. I look forward to enjoying your pictures and musings often now that I’ve found you! Love your blog and look forward to reading your posts. Thanks you leting us be here. Hello. I am a fairly new quilter (2009). I live in Missouri now, but am contemplating a move to Arkansas in the Hot Springs area. Where are you located? I am seeking out places for classes. I have much to learn. Your quilts are so beautiful. Please sign me up for future emails. Wendy..yes I have visited the CWB site..everyday..and read and look at everybody’s beautiful blocks. Can’t get enough of that site!!!! I’m thinking of joining when I start the blocks. I will be slow and am apprehensive about joining but if you will I will!!!! :) ha ha. I will admit I don’t know how to post pictures but hope one of my kids can help me get started with that. I’m in Idaho where are you? Just found you! How delightful to know that what YOU do is what I want to do better! I MQ on a Janome MC 6500 – a regular machine, no Stitch Reg. and am fairly pleased with what I do, but want to see what others (like you) can do on your DSM. Helen Bailey, a MQ from England, also on a DSM sent me! Hi Wendy. I love the quilt and want to run and check my stash of polka dot, don’t think I have enough. I have spent my day over here reading all your blogs, tuts, etc. and have enjoyed myself so much. Thanks for being available to us and drop into my blog if you are so inclined. I added two of your linky buttons to get folks attention to come over here and “sit a spell”. Just know my blog is a work in progress and when you are 61 like me, well needless to say I don’t get in too many rushes anymore. I’ve been thinking about you lately and thought I’d check out your blog to see how you are doing…WOW! I’m so impressed…your work is just AMAZING! Thanks Wendy for sharing your time and talents with us quilters. You make lovely quilts with great quilting. 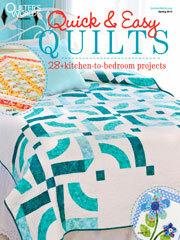 Between you and Diane Gaudynski, I am getting very inspired to expand my domestic machine quilting skills. I know there is more “life” out there past stipple quilting. Hope someone sent you a good recipe for meatloaf. Hello! What a lovely blog! I hope you don’t mind – I have added a link to your blog to a post on mine about inspiring blogs and web sites. Hello again! I think the link on my username should work properly now! I can’t backdate it to my previous comment though. I am amazed about the high quality of Your blog. Even to a man (my wife has been quilter, now she is beading) it is a great pleasure to read Your lovely post with quality photos! Thank You visiting my blog and leaving so nice comment there. I hope that You’ll get some ideas from Finnish quilting. I am so delighted to have found your blog. I am a new quilter and I have found lots of help for piecing, but it’s been hard to find much about free motion quilting. Your tips and techniques are exactly what I have been searching for. I’m going to be trying out the swirls next chance I get. Thank you so much. Great site. Looking forward to following. Hi Wendy, Just saw your farm crossing quilt in the Dec./Jan. 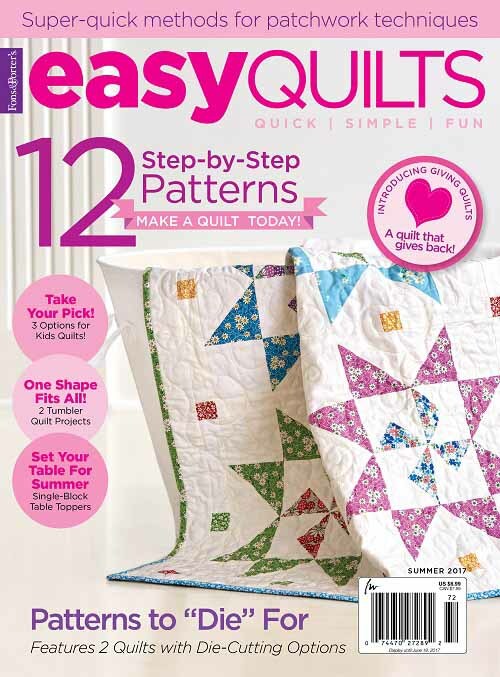 2014 Quilter magazine, Could you let me know where I can get that fabric. 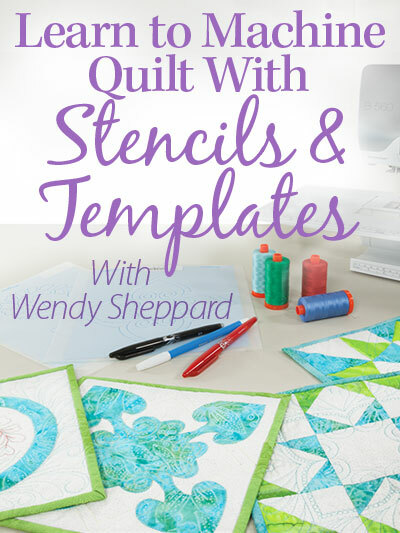 Hello Wendy, I am browsing the net looking for quilt pattern as I am going to make a quilt for my daughter who are going to collage this September, and I came across your wonderful blog. Thank you so much for all the wonderful patterns and advice. I will sure spent more time to read through your posts. Hello Wendy: I am currently working on starry dance. Did you make any revisions to that pattern? I am having a difficult time with the small flying geese. Your work is so lovely; you’ve truly been blessed with a gift for quilting. I’ve been getting your blog updates for a little while now, and I feel the need to say this: it seems like you are so very busy with your work. I hope you’re able to spend enough time with your daughter. The time goes so quickly, and she will only be little once. God bless you from a mom whose kids are grown. Wendy, I would like to have the simply sweet pattern for a little girl but when I try to click on it, it says page cannot be found is there anyway to get this pattern and or the kit. Love your cross stitch ornaments. Are they your own design? If so are your patterns for purchase? 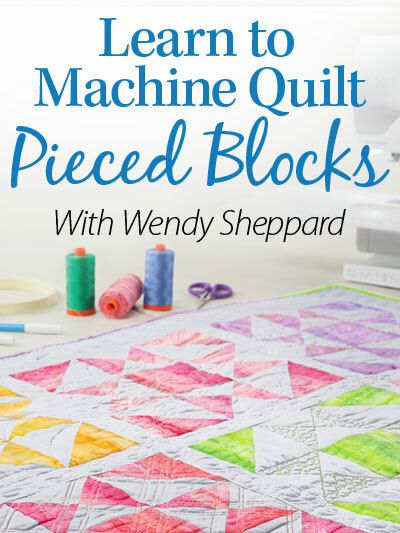 I just saw a picture of your quilt “Gears” and would love to make it. I already have the fabrics. Where can I get the pattern? I’m creating the Harmony mystery quilt. I got so excited to make trees today. I loved it so much that I made them all today. I also loved making the stars. I’m new to quilting so I’m learning so much and can hardly wait for a new lesson. I tried to sign up for your blog. I got the confirmation link, but it seems to go no where. Is there a way you can add me or is there a different way for me to sign up for email? I like email the best because then I have each and every new post in my inbox for when I’m ready to read it and never miss anything. My emails to your previous email address came back as undeliverable. I need to contact you regarding NC Quilt Symposium. Please email me with your current email. Thanks so much. do you have a corrected cutting chart for wildwood ? 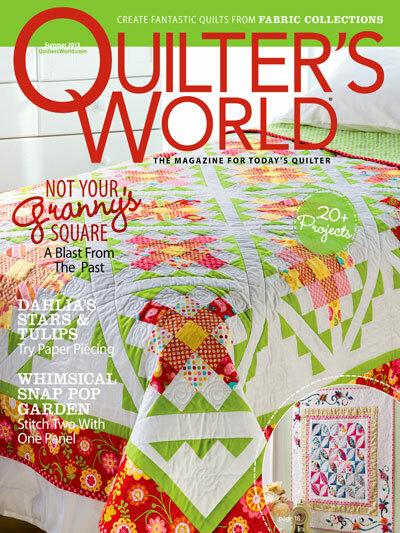 I have been searching for a certain Love of Quilting issue which was dated Nov/Dec 2012. I can’t find it buy…I see where you Ms Sheppard designed the Bonus quilt “Stars of Hope”. Is this quilt featured on this web site? or Where would I find the pattern? Hi Wendy, I read your feature in the QuiltMaker May/June 2018 issue. I think it’s wonderful how you introduced your daughter to sewing. Wish I had done so too with mine. She is 25 and has no interest in any form of hobby craft! Which part of SEA are you from? I am from Malaysia but have settled down in Singapore. I love your pattern movement in squares but want to make it for a bigger bed. How do I do that? I am looking for fabric from quilting treasures…..like in the picture for marmalade meadows. I have checked eBay and not much selection…..looking for the pinks and greens.